Committed to promoting road safety in India as its corporate social responsibility, Honda Motorcycle & Scooter India Pvt. Ltd. successfully concluded its week-long initiative coinciding with 30th National Road Safety Week. The initiative was based on the theme ‘Sadak Suraksha, Jeevan Raksha’ set by Ministry of Road Transports and Highways (MoRTH). Promoting safety across the country, the company engaged with over 33,000 children and females under this CSR initiative. Supporting the cause were several State police departments, Municipal Corporations, RTOs, NGOs, schools etc. During the week, customers at 5800 Honda network and over 22,000 Honda associates took the road safety pledge. Nearly 17,000 people were educated at Honda adopted 13 Traffic Training Parks across India. Special safe riding theme rangoli competition for women and poster making, painting competition were also organized for kids. 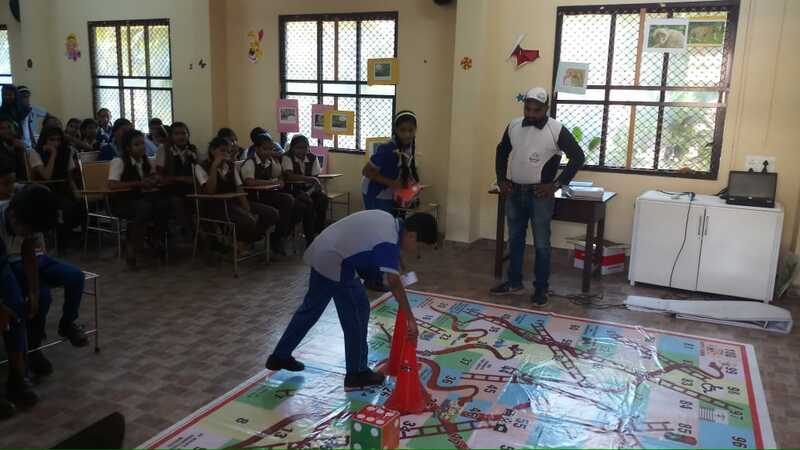 Nearly 13,000 school and college children and 1,000 females across 9 cities learnt about road safety through the company’s Awareness Campaign. The company also organized several road safety awareness events with its dealers across cities. This includes scooter rally in Alleppey, safety banner displays at central locations of cities, virtual riding simulator training for young adults and distribution of safety leaflets among the public.